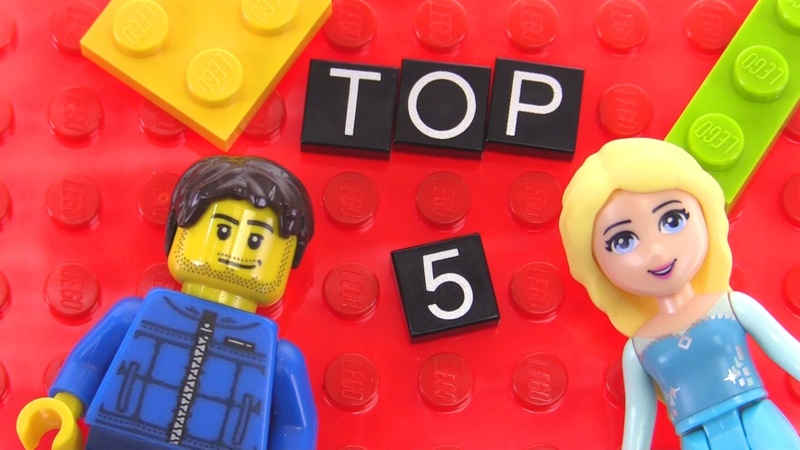 Top 5 best-selling LEGO sets of 2015 revealed! Yes, count 'em, two pink boxes made the top 5 list! This one came out in June in Europe & Asia, but not until August in North America. That means it sold roughly twice as fast as literally hundreds of sets that were available the entire year. That's powerful! Whoah! This one made me do a double-take, possibly even a triple. It wasn't long ago that I questioned aloud whatever happened to Mindstorms and if anybody was still buying into it. Got my answer, didn't I? Evidently LEGO's robotics offering remains popular in the educational world -- very popular. Bulk orders from schools surely accounted for much of this success. While 2015 was the year of Swamp Police, the latter's police station didn't make the cut. Instead, the more traditional late-2013 version gets the glory! I hope this a useful bit of data for older LEGO fans who continually question why so many police & fire sets are made. Lots, and lots of kids love this stuff! Speaking of Star Wars! 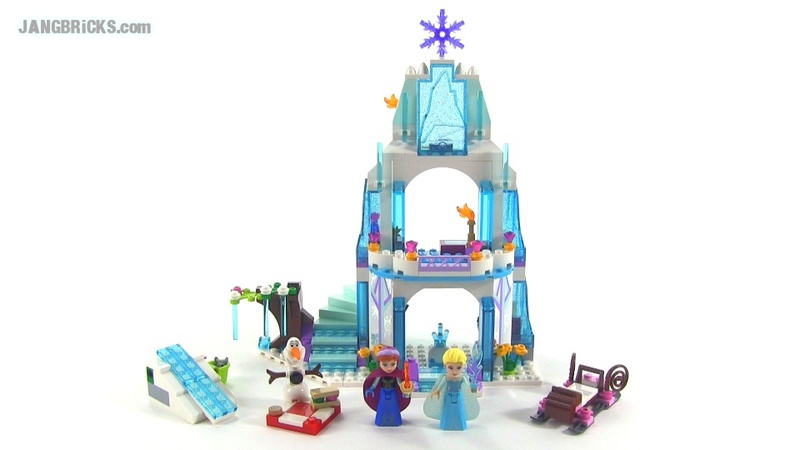 This is a huge result, as this was a fairly expensive set that was wasn't released until September (the Ice Castle was available all year). This makes me a special kind of happy, as the first Star Wars toy I personally ever played with was a friend's original (non-LEGO) Millennium Falcon back in the early 1980s. The latest buildable rendition is the best yet, so I'm happy to see a good product doing well. Detractors say, "Well anything with the word Frozen on it would sell in 2015," and I would agree. Popular things sell! The same could be said of anything Marvel, or DC Super Heroes, or Star Wars. However, it's a lone Friends-derived, pink-boxed set that outpaced every single other offering from the world's top toy manufacturer. So there you have it, the top 5 list for 2015. The list definitely had some surprises on it for me. How about for you? When TLG says "top selling" - do they mean money made on a set or number of sets sold? Because each of those [with the exception of the Frozen set] is a fairly expensive set. Regardless of which it is, that's a huge victory for the Frozen set because that means it had to have a *ton* sold if it's a list of "how much $$$ was made per set" list, since it's just a $40 USD set vs. the others which I think are all triple digit. Interestingly enough, I bought 2 of the Frozen sets in late December 2014 as a few retailers had them out early - one as a gift for a friend and one for myself. I wonder if TLG is counting sales from Dec 2014 for that item? It remained sold out on S@H for quite a while after its official debut, so clearly it was popular right out of the gate! I'm super surprised to see the Millennium Falcon make the cut, especially since it didn't come out until the last 4 months of the year and the price was quite a bit more than the other iconic sets that came out [TIE Fighter and X-Wing]. For the crazy price that the TIE was, I would have actually guessed the X-Wing would have made this top 5 cut and not the freighter. Add to the fact that many AFOLs said they would skip the set since it was so similar to the last MF that TLG released, I'm surprised that it is the #2. 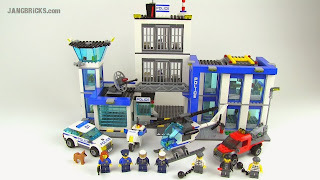 Though it has some minor flaws, it is an amazing set. 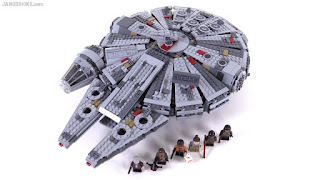 I wonder if this will give TLG pause, and they may think about releasing another UCS Falcon. Of all the Friends sets out there, I'm surprised the Hotel broke into the top 5, simply because of cost. 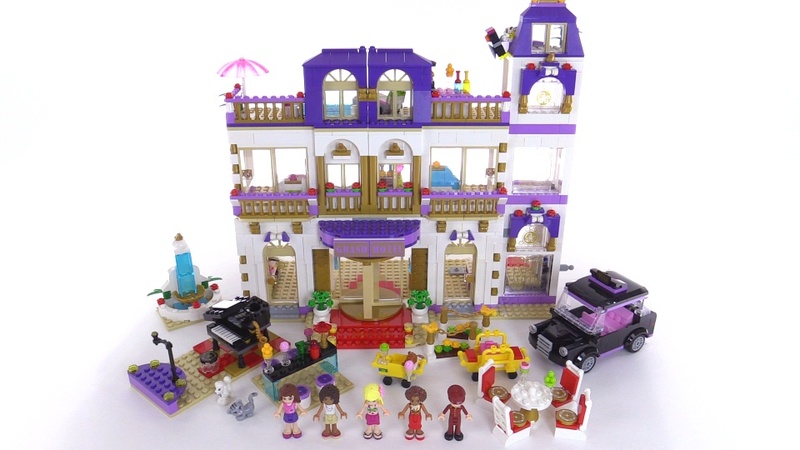 I may be a "typical" male AFOL, but nearly every Friends building they've made, I've liked, so I can understand why the sets are so popular - if even AFOLs like them, and they are not anywhere near the target market, and kids like them, then you've got a winner since both groups will be buying a lot of them. I'm just surprised that a set like the Hair Salon or Vet Clinic didn't take the #5 spot, as those are more affordable. But again, it depends on what TLG is using to measure their top 5 list - quantity sold, or dollars [krones] made. [i'm not even going to mention how blown away I am by the Mindstorms entry...though I will say something about the police station - even if not a big hit with AFOLs, clearly there's more than enough demand by kids to make up for AFOLs not purchasing the set - i know i purchased a couple of police sets last year [more traditional, not the swamp police ones] - they aren't too bad at all, other than going a bit overboard, IMO, with stickers]. What I'm surprised about - the Marvel set featuring the Hulk buster didn't make this list. That was a good value and based on a very popular movie and brand. The $30 USD made it a much easier buy than other Ultron sets and it features 2 characters that a lot of kids [and adults] really like. And the movie was popular world-wide, so it's not like that set would have been popular in the US only. Well, I am not entirely convinced all these sets were ones bought for "kids". I don't think many adults would be spending $150 on a Millennium Falcon set that tends to fall apart when played with for kids (unless it was done under the *pretense* of being for a child, so they could play with it):) . I think a lot of AFOLs bought many of these. Elsa's castle makes a lot of sense on more than one level -- this one I would agree falls easily into the kid category, but it also makes a good holiday display, and the clear blue pieces makes it a good set to buy for parts as well--especially if you can find it on sale, which it has been off and on at various locations. 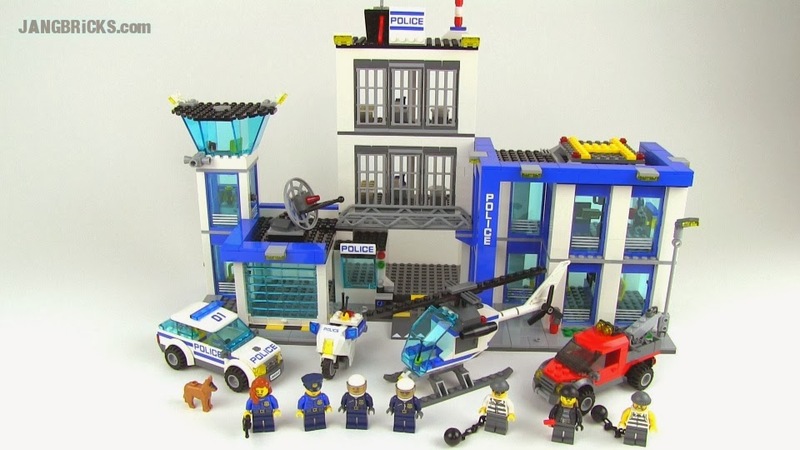 The police one also fall into this category--kids like it, adults like it (especially if they have a family member who is a police officer), and AFOLs like it because every Lego City needs a police station, and lots of blue windows for parts--and is one which was frequently on sale with the price per part being extremely attractive. The Hotel is one I can see more parents buying for kids as long as the they have the room for it. It would be more like buying a dollhouse for the kids, and doesn't have to be flown around like the Millennium Falcon, so doesn't encounter the "falling apart" risk as much. My son and a friend of his both had the police station last yr so I get that. Am surprised at frozen set being no.1 because as a parent and AFOL thought poor value for money. Anything licensed does seem to be expensive in UK.